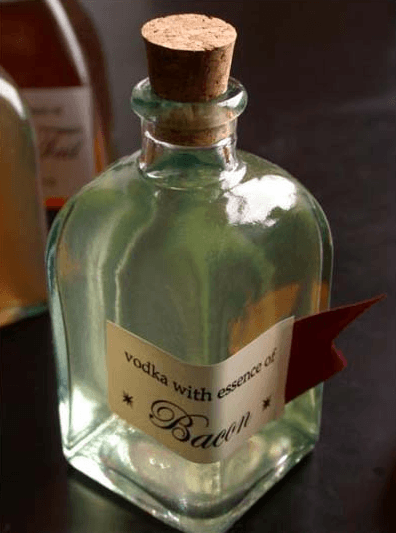 I’ve put together an easy vodka recipe that anyone starting out can make. This is one of the first recipes I started with when learning to make moonshine and is by far the easiest. All the ingredients can be purchased from your grocery store. Details are below have fun and be safe. Time to make a Yeast Starter. Here’s the 4 Step’s To Make a Yeast Starter For Sugar Wash you’ll need to follow. After 24 hours stir well to aerate sugar wash ( This aeration allows for increased yeast reproduction as yeast will reproduce until there is no more oxygen at this point they will begin to create alcohol). Fermentation will complete within 4 -8 days. Check fermentation by either measuring specific gravity, or by tasting for left over sugars. Because you are making vodka which is flavourless a reflux still should be used. 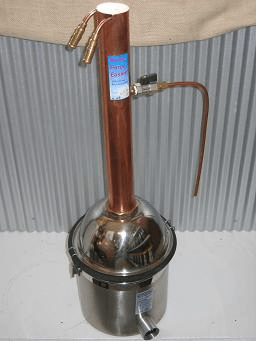 I’ve written a post about how to distill using a reflux still that will guide you through the process. This recipe should make approximately 7 L of vodka moonshine at 40 % abv. Don’t stop with just making homemade vodka now that you have this base spirit you can flavour it with so many spices, herbs and fruits. Including maple syrup, cinnamon, vanilla and chillies. Check out our home made baileys recipe for a great gift idea. Don’t stop there you can also infuse your moonshine with fresh fruit like strawberries, blueberries and kiwis which will impress just about anyone you serve it to. 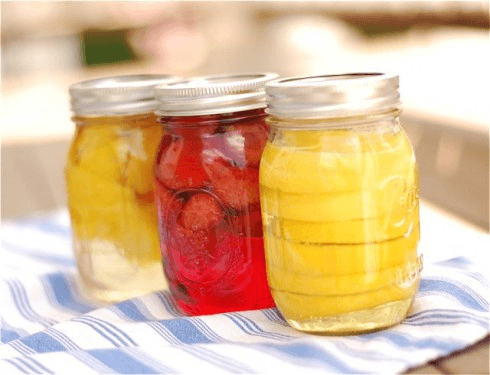 Check out our list of fruit infused moonshine recipes for details. 28 Responses to "Yakov’s Vodka Recipe – Easy Sugar Wash"
Which Turbo Yeast do you recommend? I have found multiple types from Alcotec, but I don’t know which product I should choose. I totally agree. I have tried many turbos and find Alcotech 48 to be the most consistent and foolproof. I have been using it for many years and have never read any instructional websites or done much research. Just do what the packet says. I just ;put one packet with 8 kgs of white sugar. It finishes bubbling after about 5 days in warm weather then I leave it a couple of days more to clear a little but not necessary. I normally get 8-9 litres of 40% every time. Hi when do you add the clearing agent? The clearing agent is optional.. If you’re going to add it do it after the fermentation process has finished. Add it to the wash and let sit for a day or so, the wash should become noticeably clearer. The nice thing about a clearing agent is that it removes most of the solids from the wash keeping it out of your still! If you’re making a Vodka using a sugar mash like we are doing here you could use 100 grams of distillers yeast per 5 Gallons or 23 L batch. Alternatively you could make a starter first to cut down on the amount of yeast you need to use. Typically a 5 gram pack is all you would need. Here is a Guide To Making Dry Yeast Starter that should explain the process. Would adding some oranges to the mash make an orange flavored Vodka? If one wanted to add a grain for some flavor, would wheat best? Add the oranges after you distill the mash, it’s super easy to infuse vodka with fruit. When you make Vodka you’re going to use a Reflux still this type of still will strip all the flavor from the wash so there isn’t much point in adding grain or fruit to the wash. If I have some time this week I’ll do a post on fruit infused vodka for you. Actually, I was first thinking about Vodka, but then remembered about Marvin “Popcorn” Sutton who I have seen on the moonshiner’s show. Went looking for a recipe from him, and found this one that was supposedly printed in his book. Thought I would make my first batch in remembrance/honor of him. Would the corn meal be just like the stuff you can buy in the store in bags just like flour, or something more like from a feed store? I plan on starting with a pot still, but am going to make a thumper to use with it. I do like your reflux design, and will probably make one in the future because I really am a Vodka drinker. Actually, I discovered one can buy cracked corn at sporting goods and feed stores. Some use it for deer feeders. It was about $10 or less for 50 pounds. ALSO: Does one want the thermometer in the still to read the temperature of the mash or the steam near the exit pipe? If you grind your own corn with a hand mill, How fine does it need to be? My largest pieces are about 1/8″. What’s heating your still ? Internal or external heat source ? Keep in mind the finer you grind the corn the harder it will be to filter it during the sparging process. If your using an electric internal element a fine grind can cause you a world of problems because any sediment that’s left in the wash will burn to the element . I ground the corn a little finer, and also used some white corn meal with it (I was short on corn). I live in Texas, so I don’t need to heat the mash, just keep it indoors. When I distille it, I will be using an external hot plate. I have looked, and cannot find a “good answer” as to stirring the mash as it works. Seems to me that stirring up the settled corn parts would help the yeast get at all the sugar still in it. But then, cooking the mash with barley malt was suppose to get all the sugar out of the corn and into the water. Which is correct? Hey Denny to clarify the nutrients are only needed in addition to the yeast if you’re using a yeast pack that doesn’t come pre-mixed. with nutrients. How did your batch turn out ? I made the wash last night and man the yeast kicked off even coming out of the air lock O well I know I will be making all kinds of mistakes. I hope I can it tune in. The alcohol calculator doesn’t work. Would adding amylase enzyme help increase the speed of fermentation? No need for amylase enzyme in this recipe as we are not converting starches to sugars. Just using pure sugar, If you want a fast fermentation keeping the temperature at the proper level is the most important factor. #5 says: Add Nutrients and Yeast and let stand for 1 hour. Does the yeast get divided up? Thanks for pointing this out. In step #5 You’re making a Yeast Starter, When I wrote this article I forget to explain that. I’ve corrected this, If anyone else has an edit or suggestion on content I can add to this feel free to drop me a line. Im new to this and trying to learn. Do you make a yeast starter the day before and then add the starter to the wash mix along with turbo yeast and nutrient? Are you using the turbo yeast in the starter as well or just any packet? Here’s some info on making a dry yeast starter. You can do this with the packs of turbo yeast it will help accelerated fermentation. Make sure you join our Facebook group it’s a great place to ask questions.